Welcome to the Boys LitClub Blog! 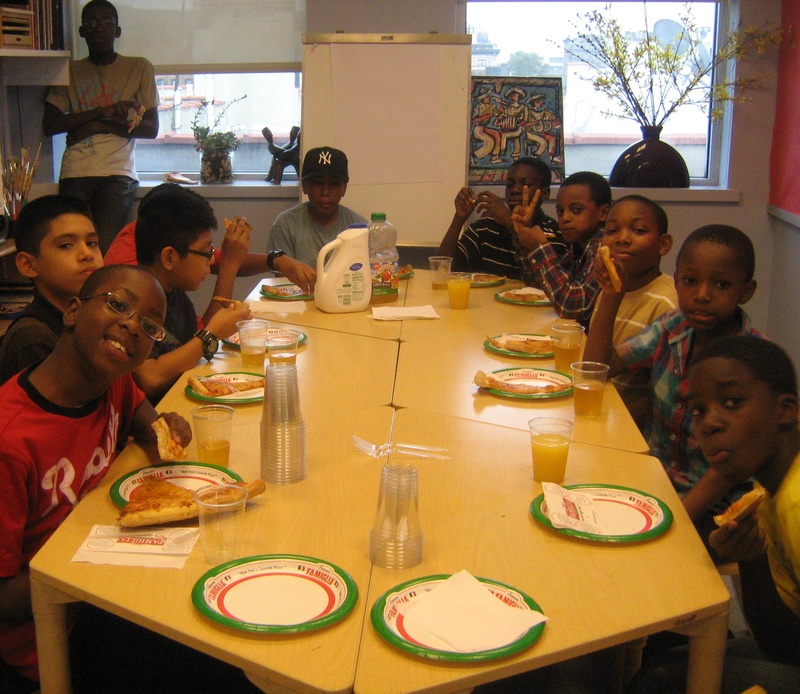 2011 saw the launch of the LitWorld Boys LitClubs, beginning in February at the Polo Grounds Community Center in Harlem, New York City. Currently running in multiple New York City locations, Port Chester, NY, Kibera, Kenya, and Erbil, Iraq, LitClubs continue to spread across the globe. Centered on LitWorld’s Seven Strengths—Belonging, Curiosity, Friendship, Kindness, Confidence, Courage, and Hope—LitClub members read, write and share stories with each other, inviting special guests to their club and going on trips together. The LitClub in Kibera, Kenya are all smiles on their first day together. The Broadway Housing LitClub gobbles up some delicious New York pizza for dinner. The Polo Grounds Teen LitClub visit the Paley Center for Digital Media to premiere their movie. The younger boys from the Polo Grounds watch a short documentary, “Carry On,” about two high school wrestlers who become best friends through a common bond. As leaders, innovators, and thinkers, we are all a part of a global social network that keeps on growing. We are the young men of the LitWorld Boys LitClubs, and here is where we share our stories. Older PostThe Launch of the First Girls Club in Baltimore, Maryland!